When a “John Doe” letter concocted by a reporter (Barbara Stanwyck) hits a nerve with the public, her oily newspaper editor (Edward Arnold) decides to hire an out-of-work baseball player (Gary Cooper) to impersonate Doe, with the intention of building a mass political movement. Peary is pretty much accurate in his scathing review of this “self-congratulatory, pretentious, gloomy, [and] heartless” film, which remains one of Capra’s most iconic movies (and was “shamelessly calculated to become a commercial success”) but simply hasn’t held up well at all. Peary argues that it feels like it was “made by someone who always climbs out of the wrong side of the bed”, given that it “shows an America perpetuated solely by corrupt individuals and simpletons who’ll believe anything told to them and accept anything done to them”. He says he “can’t stand how Capra lines up his common folk, has them talk in humble, hushed tones, and shines a light on their well-scrubbed faces so that we may think they have angels sitting on their shoulders”. He specifically calls out the seemingly endless “discourse” narrated by a soda jerk (Regis Toomey) about “his town’s people coming together after being inspired by John Doe’s help-your-neighbor speech” (which never rings true, not for a minute), and notes that Cooper’s speeches “could have been delivered to a junior-high civics class” (I’ll admit to nearly falling asleep in the middle of the first interminable one). Indeed, it’s actually difficult to argue that this film IS must-see, and I went back and forth in my vote — ultimately deciding that film fanatics will probably be too curious not to check it out at least once for themselves (I’ve now seen it twice, and that’s enough for me). 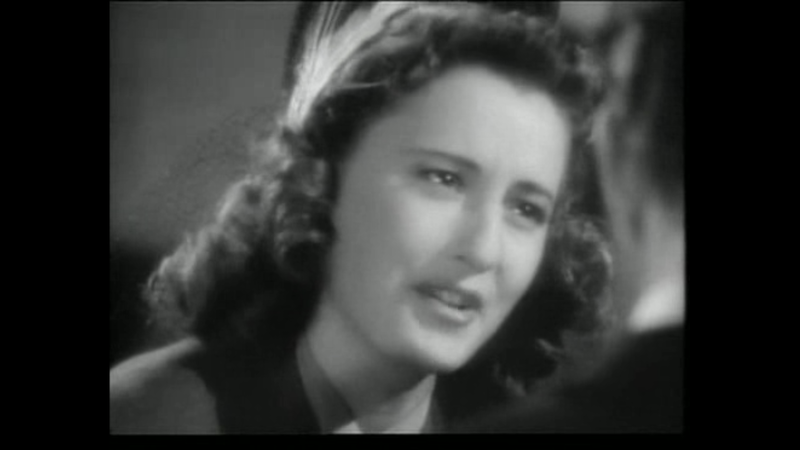 With that said, I do find Barbara Stanwyck’s performance to be worth a watch — though her character, as written, is somewhat inconsistently motivated (it’s difficult to believe that the daughter of two such noble parents would be willing to perpetuate such an elaborate hoax on the public), this is no fault of Stanwyck’s, and she does the best she can with her role. 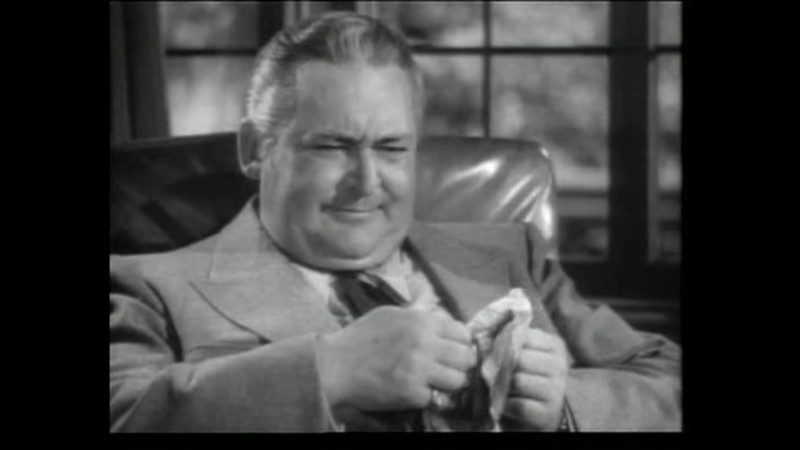 Meanwhile, Edward Arnold is quietly menacing as the film’s Big Baddie (he’s eerily effective, especially in earlier scenes), and Walter Brennan, while typecast in a tiny supporting role, adds some much needed cynicism to the proceedings . Unfortunately, Cooper himself merely comes across as an uninteresting “bore”, someone without much charisma at all; I guess that’s part of the point (he’s supposed to be the ultimate “every man”, after all), but he makes for an awfully dull protagonist. Yes — but only as a one-time must-see, for its historical notoriety as prime “Capra-Corn”. A once-must, as one of Capra’s more successful fables (though a second viewing could come in handy). I’m a little surprised by all of the negative sentiment in the review (especially the somewhat fierce remarks by Peary). Why single out ‘Meet John Doe’ as “shamelessly calculated” when, in spirit, it is not removed from some of Capra’s most well-known and well-loved films? It’s not as if, with this film, Capra took a sudden turn into what is, for him, unfamiliar territory. Like other top-tier Capra films, ‘MJD’ is idealistic, concerned with democratic ideology and somewhat didactic. It’s also deceptively simple, even as it purposefully deceives its audience as to where it is ultimately headed. Complex emotions are embedded in many of its characters, making it satisfying in terms of how it will all turn out. I like how we’re not sure about motives from the get-go. At the opening, the newspaper is handing out lay-offs. We suspect those in charge of the newspaper may have a practical concern; but then we’re told “money is not the issue”, even though we know circulation is down. The optimistic view of some of Capra’s best films sometimes comes in tandem with a sugary coating that can be a little off-putting to those of us who lean toward cynicism (myself included). But there’s also a toughness in a film like ‘Meet John Doe’ which helps balance the film immensely. This is also a film boasting fine performances, a script (by Robert Riskin) with a complex structure, and particularly good pacing in Capra’s direction – all moves along at a good clip. I’d only seen this film once before, many years ago. I don’t think it made a huge impression on me at the time, but I think I was probably too young to absorb its deeper implications regarding what is sometimes called for when life is a matter of survival. I believe ‘MJD’ resonates very well in modern times, particularly in its depictions of personal desire and corporate and political greed.